Snapchat is to launch a gaming platform inside its social media app as it looks to compete with Apple’s App Store and other mobile gaming platforms. The social media platform said the new feature will be added to its existing messaging tools, and will allow groups of friends to instantly start playing games against each another without leaving the app, while also continuing to message one another. The announcement was made at Snap’s first-ever Partner Summit, where a range of new features for the Snapchat app was revealed, including augmented reality tools for its camera. 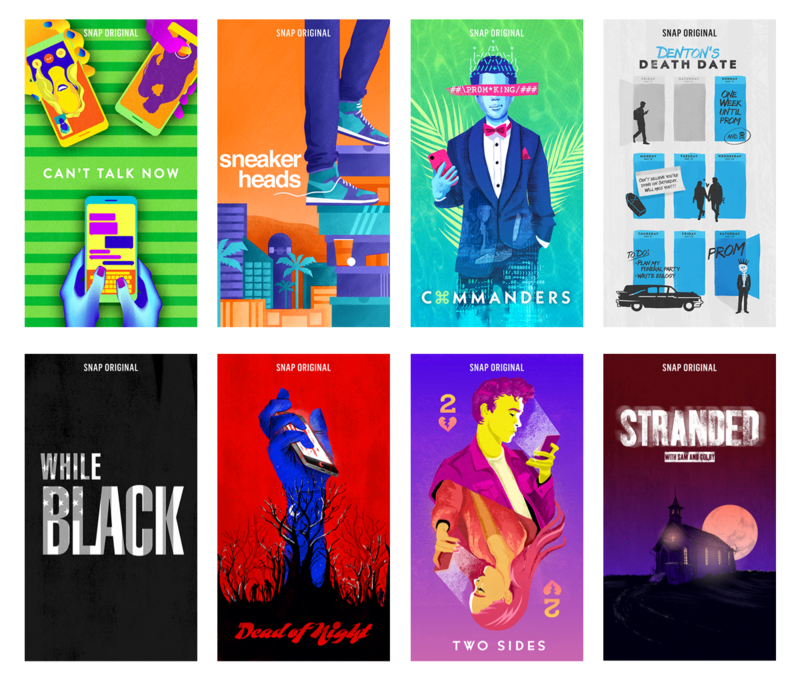 The company also announced new Snap Originals – mobile-friendly, short TV shows exclusive to the app. It comes a week after Apple announced its own gaming subscription service, as well as plans to enter the video streaming market and create original programmes with high-profile Hollywood actors and directors. Discussing the new platform, Snapchat’s Will Wu said: “Last year, mobile gaming was a 77 billion-dollar industry. “Today, there are hundreds of thousands of games available for our phones. But interestingly, with all of those games, there aren’t many that make it easy for friends to play together. “We wanted to build something that makes us feel like we’re playing a board game with family over a long holiday weekend. “We love these sorts of games because they give us an excuse to hang out, laugh, and make memories together. “Unfortunately, these games are hard to find on mobile. There’s way too much friction. It’s hard to get everybody to install the same game, then find friends to play with, and it’s hard to chat. The firm has worked with several mobile gaming studios, including Farmville creator Zynga, on a number of games that will start rolling out in the coming weeks. Snapchat confirmed the first game will be its own-developed Bitmoji Party, a collection of mini-games players can tackle with friends, competing as their Snapchat avatar, known as a Bitmoji. The camera firm also announced it would release 10 original mobile TV shows on the platform, beginning in May. Snapchat’s Sean Mills said mobile was now the “dominant” platform for storytelling and predicted time spent consuming content on mobile would surpass watching television among adults in the US during 2019, a trend Snapchat was keen to take advantage of. “This transformation is creating massive new opportunities,” he said. 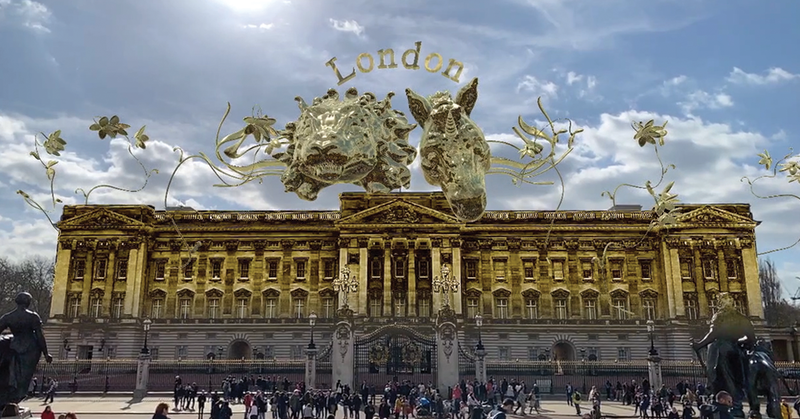 Elsewhere at the summit, Snapchat also announced new tools for the camera at the centre of its app, including new filters which can be placed over buildings for the first time, with Buckingham Palace among the first to be compatible with the new feature. Snapchat has struggled to grow its user base over the last year, as it faces intense competition from Facebook and its family of apps, and it received a mixed response to a major app redesign last year. Earlier this year, the firm admitted its user growth had been “flat”, but co-founder and chief executive Evan Spiegel was defiant about their ability to be a force in the industry. “The Snapchat camera changes how we see, how we speak, how we shop, how we tell stories, and so much more,” he said. “But most importantly, our camera lets the natural light from our world penetrate the darkness of the internet. “The internet started as a military research project. It’s just not our natural habitat. But as we use the internet more and more in our daily lives, we need to try and make it a bit more human. “The Snapchat camera allows people to use computing in their natural environment, the real world. We believe that by opening into the camera we can create a computing experience that combines the superpowers of technology with the best of humanity.